How do you get all your ideas for your stories? When you write nonfiction, you might be asking yourself -- what do I want to know more about? I used to live in Maryland, with is near the homes of a good many of our first presidents. I visited the places they lived and worked and wrote biographies of them. 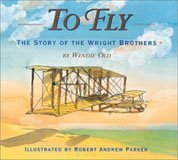 I love to fly -- so I found out all about the Wright brothers who discovered the scientific rules of flying, and wrote two books about them. How did you learn to be an author? Do you like to read -- or have books read to you? Do you like to learn about things and explore? Are you already telling stories? Then you might become an author. You learn by reading/ reading/ reading/ writing/ writing/ writing, and reading some more. How do you publish them out to the world? There are many books on this subject to help new writers plus there are writer's groups that will help you. It's a long process. You write the best book you can, then you send copies of it out to publishers who publish that type of book. While you are waiting, you write more books. You wait a long time and keep sending copies out. When a publisher likes what you wrote, they then ask you to revise the story. This is just like the teacher saying -- make it better/ correct this/ add that. You revise many times. Finally it is published and there it is -- a real book! How many days did it take you to really think about the characters and to write the book? This is different for each book. It can take a day or several years to write a book. But that's just the beginning. Then you have to revise and make it better before you send it out. How do you know when to make another chapter? I like to end a chapter at an exciting spot so that the reader has to turn the page and can't wait to read the next chapter. How do you make books interesting? If it's not interesting to me, how can I write about it? I don't want to be bored. I like to find Fascinating Facts -- things that interest me that I know will also interest my readers. Did you know that Francis Scott Key got wounded in the war of 1812 -- by a slab of flying bacon that someone had thrown! The thing the Wright brothers wanted most when they returned from the Outer Banks after having flown the first heavier than air flying machine -- was a glass of milk! See if you can figure out why. How do you make up the characters? How do you know what to do in the story, when you just begin? Sometimes characters come to you and begin to tell you your story. Yes, authors have people in their heads talking to them. My friend gets mad at her characters because they keep on talking to her even when she wants to go to the bathroom. I don't hear characters -- I see them. And I have a general idea what happens in the story. My magic animal story came to me as a picture book. 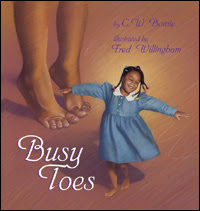 When I presented it at a writer's workshop, I realized it wasn't a picture book -- it was the outline of a story -- and I've been writing it ever since. No, it's not published yet, but I have hopes it will be in a couple of years. Some authors can't follow a plan with their story, because the characters take over and decide to do something different. Patricia Wrede was writing a story where she planned that something would happen in a small village, then the four characters would take off through the countryside trying to reach another village. It didn't happen. Every time she got the characters headed toward the village gates, they would decide to go hide in someone's empty shed or something. Although they never left that village, the story was still an exciting chase and the mystery was solved. How do you know how to finish a story? The best answer is -- the end Must reflect the beginning. If you read my book, To Fly, the Story of the Wright Brothers, and take a look at the first few paragraphs and then look at the last paragraphs, you will see that they are reflections of each other. This happens in fiction as well. The end also must be satisfying. You don't have to tie up all the threads in the story -- just the main ones -- leaving the reader to believe that these characters keep on living and maybe have other adventures after the story's end. Did you ever hear a story that you wanted to keep on going after it stopped? The ending can be a surprise. It can be happy. Books you will read when you are older can end with sadness. But everything in the middle -- the conflict and suspense -- should logically lead to this ending. In the picture book, Where the Wild Things Are, Max is sent to his room without supper. He imagines that he escapes to the place the Wild Things live, but when he returns from his adventure -- he finds his supper -- and it was still hot. This ending satisfies. Wishing you the best of luck writing YOUR story. This week a student wrote a letter to me asking great questions about my writing process. I wanted to save my answers, in case someone else would like the information too, so I thought I'd post it in my blog. How nice of you to write to me. Thomas Jefferson was one of my favorite people, too. I'm glad you enjoyed the book. Why did you write the book Thomas Jefferson? In the 1990s I wrote biographies for Xxxxx Publisher. I had sent a sample chapter to them about another person, but they didn't send me a contract for that book. However they liked my writing style and asked me to write about another person -- Marian Wright Edelman. Was that my first published book? Not exactly. 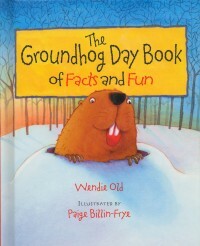 That book came out the same year as a picture book that was bought and published by another publisher. After Marian Wright Edelman, I asked if I could write about a dead person, so they asked me to write about George Washington. And then I wrote about two other presidents, two musicians, and a pair of inventors -- the Wright brothers. To answer your question, each book took about 9 months to turn in the first draft of the book to the publisher. --Several months to do the research -- which almost always included reading lots of books about the subject and taking notes. (I used note cards, but nowadays I use some note cards and also save internet files with my manuscript so I can quickly access the info. The fun part was taking field trips to sites where the person I was writing about lived and worked. Since I had to supply the photographs for those 1990 books, I took a lot myself and then had to buy photographs from various sources. -- Then several months where I simply spent hours and hours sitting at my computer, typing. -- As I was writing, I would find spots in the biographies where I needed more information. I would simply put a marker there, and email myself to look for that information at my workplace -- the library. My mind was divided into work and writing. (and home/kids/husband/house/etc) Which meant that, once I was at work that's all my mind concentrated on. Therefore email was my communication between my work mind and my home mind. If I thought I would simply remember; I didn't. Once I found the info I needed, I'd email it to myself, open the email at home and copy the info and insert it into the place in the manuscript. 9 months was just the first step. Once the book was completely written, I had to go over every word of the manuscript to make sure that all the necessary information was there, in its proper place, spelled correctly, good grammar, etc. Was it told in an interesting way? I made changes at this point. Once I thought it was good enough for a first draft, I sent it off. After I shipped it off to the editor, I had a few months where I could write other things. Then the manuscript came back -- with notes, suggestions, and commands to move or remove parts of the manuscript. It's just like your teacher handing your paper back with suggestions how to write it better. This part isn't clear. That part drags on too long-- cut it out. -- This part is called revision. With Enslow, there were several revisions. Secondly the comments from the professor who vetted the series. Thirdly for the copyeditor, who checked the facts. (I'm sure you noticed that the book has lots of Endnotes.) The copyeditor checked each one of my sources to make sure that I got the quotes from the book I said it came from. S/he also checked that things are consistent within the book. (Is this man his uncle or his cousin -- you tell it both ways in different chapters. OOPS.) The copyeditor also checks punctuation. When you are typing quickly, sometimes you hit the wrong punctuation mark. Easy to correct, but great that s/he points that out so that we can correct it. -- I have two choices. I take the editor's advice and rewrite the section. Or I must write a defense of why it really should stay the way I had written it. Most times it's best to take the editor's advice. Every so often you can say that what you did was right -- and why it's right. Then the final proof comes. At this point only a few changes can be made, because the final proof is ready for the printer. For one book, someone I mentioned in the book died before we got to the final proof. I was allowed to insert this and write a paragraph about the person who replaced him. So -- how long did it take to write a biography? From beginning to publication takes about a year and a half, or two years. Did anyone else help you write the book? Although the editor and the copyeditor help with the production of the book, they are not considered the authors. They are just helping me make this book the best that I can do. They push me to improve and make my writing easier for readers to understand and enjoy. So - no, nobody "helped" me, if you are referring to a co-writer. Yes, I do enjoy writing my books. Especially the research and field trip parts. I LOVE field trips. Who was your favorite president? This was one of my favorite books I’ve ever read. I think I'd agree with you. Thomas Jefferson was probably my favorite, too. I enjoyed the book because it has many interesting facts about Thomas Jefferson and American history. That's what I love to put in my books. I search out all the Fascinating Facts that I can find and try to include as many as I can in every book. The neat thing about the three president books I wrote is that, as I researched each president, I discovered more Fascinating Facts about the previous president and wished I had included THAT information in the previous book. Washington, Jefferson, and James Monroe were all connected. Thank you for writing to me. I hope I answered your questions with enough information. Win a Free Scholarship to the SCBWI - LA conference this August!!! Scholarship available to the International Society of Children's Book Writers and Illustrator's gathering in Los Angeles this August! is write a little haiku. Our 6th Annual SCBWI Conference Scholarship! wHaT: $1,000.00 toward conference tuition, manuscript or portfolio critique, and a bit of mad money during your LA stay. wHy: We are five very fortunate authors for children and young adults who have been generously mentored, guided and supported by a host of talented individuals. We can't think of a better way to thank them than by easing the way for others. The National Conference is a game-changer. hOw: To enter, write at least one but no more than three haiku telling us why we should pick you for this year's conference. (A haiku is a three-line poem, featuring a total of 17 syllables: 5 in the first line, 7 in the second, and 5 again in the third.) Have some fun with this! Winners will be announced on May 1st. 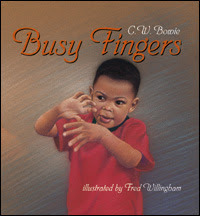 Please feel free to share this info with your SCBWI buddies everywhere.